School reformers have now had a decade of experience rebuilding the New Orleans school system after it was devastated by the winds and waters of Hurricane Katrina. The power of Katrina cleared away a system that had its share of problems and allowed federal, state, and local leaders room for changes that seemed impossible just months earlier. After ten years, we can now begin to see how effective those efforts have been. Reformers have targeted teachers and their unions as a major source of our nation’s educational struggles. 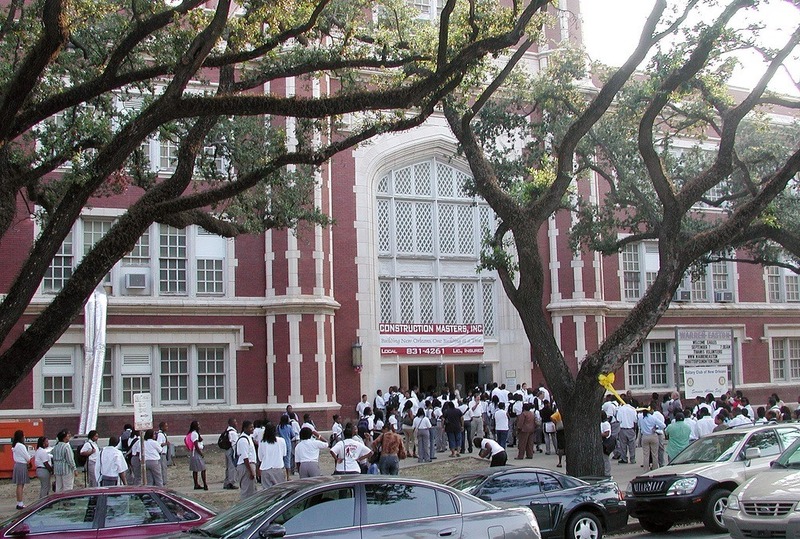 With New Orleans’s educators scattered by Katrina’s fury, they seized the opportunity to reopen schools with new staff. Thousands of experienced teachers were not offered positions as school reopened, and a teacher’s union lost its contract—they were replaced with new hires recruited nationally, including a large group supplied by Teach For America. Only about one in five of the teachers who staffed the city’s public schools before the storm still work there. About 49 percent of the teachers in the system last year were black, instructing a student body that was 85 percent African-American. The teaching workforce was 71 percent African-American before the storm. They were replaced, largely, by white and inexperienced teachers. […] National Urban League President Marc Morial named the layoffs as one of the city’s biggest recovery mistakes. It’s one reason some black residents say the changes to New Orleans public schools were made about them, without them. In addition to reframing the professional cadre who teaches New Orleans’ children, the New Orleans model relies on privately managed charter schools to create an educational marketplace supporting parental choice. Katrina allowed reformers to take control away from a locally elected school board. After ten years, there is enough experience to ask whether the results of such drastic educational change are so positive that they are worth their human and social costs. The answer to this question is hotly debated. Broader measures show a rejuvenated school system. ACT scores in the state-run district increased from 14.5 in 2007 to 16.4 in 2014, and far fewer students in the majority-black district attend schools deemed failing. The proportion of Orleans Parish high school graduates enrolling in college has grown more than 20 percent since 2004. But…critics worry that many children, particularly those with behavioral needs, fell through the cracks. And newly available data from independent researchers, corroborated by former district employees, suggest that due to misreporting, official graduation rates may be overstated by several percentage points. In relinquishing oversight to independent charter operators, former employees say, district authorities lost sight of at-risk students. Under stiff pressure to improve numbers or face closure, schools culled students and depressed dropout rates. And as families muddled through a complex and decentralized system, a sizable contingent of at-risk students may have left the system unrecorded. Ten years after Hurricane Katrina and the subsequent reforms, there remain more questions than answers. Even if the reforms implemented under such a hyper-politicized arrangement show some clear gains in student achievement, as seems to be the case, it is important to attend to the serious equity concerns that remain in the system, and to examine other outcomes, beyond test scores. The preliminary evidence, from a combination of news reports and research studies, suggests that the New Orleans reforms disproportionately benefit more advantaged students, relative to the most at-risk and under-served students. In light of these concerns, there is a need for more research that systematically examines whether the reforms have truly altered the structure of opportunities for students who are low-income, of color, English Language Learners, or have disabilities. Given the additional resources and the unique New Orleans experience, there are also questions about how sustainable and replicable the New Orleans model is, even though many cities are adopting similar reforms.